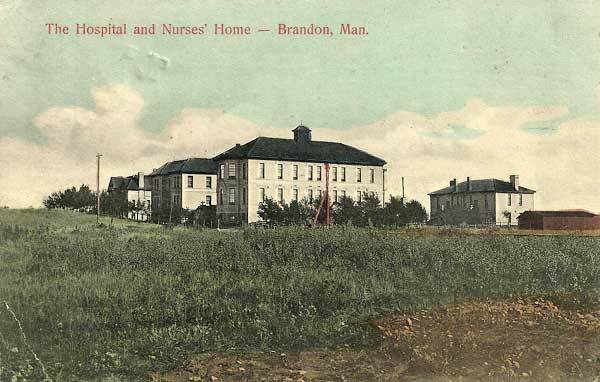 The Brandon General Hospital was established in 1883, the year following the founding of the City of Brandon. Its Provisional Board of Governors included: Rev. J. Boydell, Thomas Mayne Daly, Rev. John Ferries, Alexander Fleming, L. M. Fortier, James A. Johnson, Rev. Thomas Lawson, Dr. John McDiarmid, D. M. McMillan, Dr. L. M. More, Dr. F. W. Shaw, J. W. Sifton, Dr. Richard Spencer, William J. White, William Winter, and J. E. Woodworth. The hospital opened for operations in 1891. 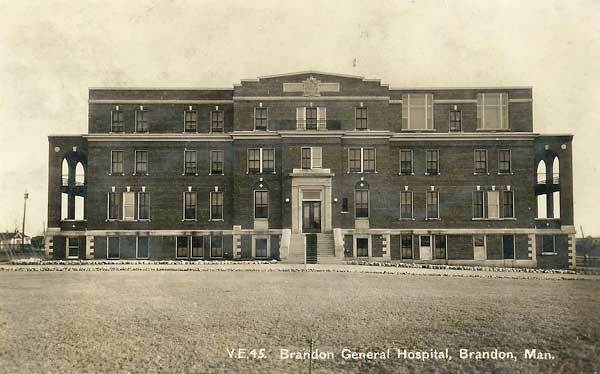 The campus of the Brandon General Hospital has undergone numerous changes and expansions through the years. The original hospital building, designed by Brandon architect W. R. Marshall, was constructed in 1892 at the intersection of McTavish Avenue and Russell Street. Two years later, a residence building for nurses was erected nearby. An isolation hospital, built in 1901, was renovated into a Childrens’ Hospital in 1950. A hospital building constructed in 1922 was demolished, along with the 1892 hospital, in 1962. 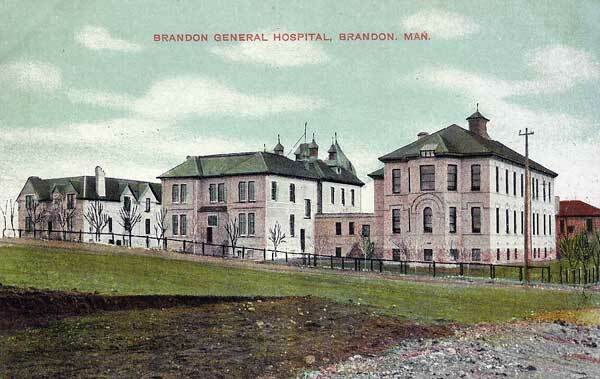 BGH-100: A History of the Brandon General Hospital, 1883-1983 by F. Madeline Perry, Brandon General Hospital, 1983.